Our September 2013 Mentor Matching Event was a huge success. 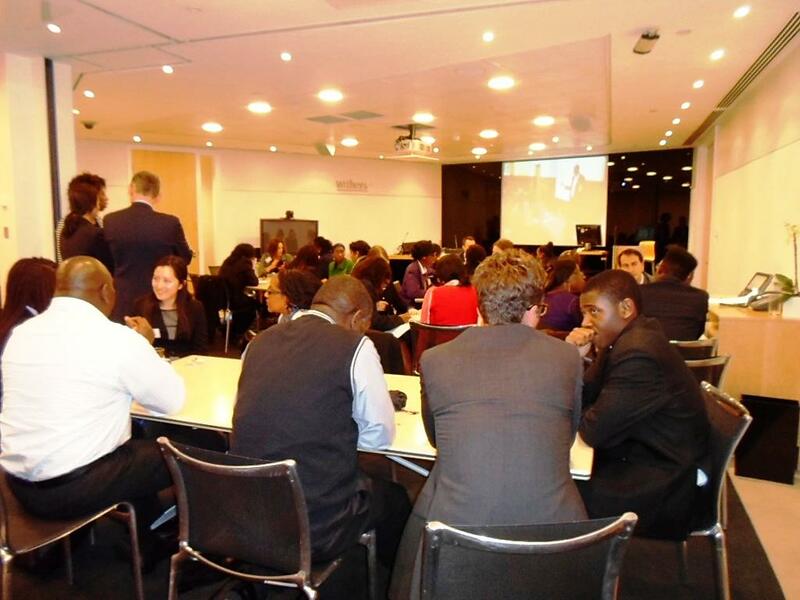 Twelve ACD students were matched with mentors from two of London’s top law firms: WithersLLP and Slaughter and May on 9 September 2013. This was the largest ACD Mentor Matching event for some time with over 30 people in total consisting of students, parents, siblings, mentors, Withers’ and ACD staff. There was a great buzz in the room as everyone mingled over drinks and food and got to know one another. Moving forward, students will set up a schedule to meet with their mentors at least once a month at their mentor’s workplace at an agreed upon date and time. A special thank you must go out to WithersLLP who hosted the event again this year, with great finesse. The students (and parents!) especially enjoyed the food of pizza, mini burgers, and fish in chips in a serviette.